Here is a summary of what the book is about. "I won't describe what I look like. Whatever you're thinking, it's probably worse." August Pullman was born with a facial difference that, up till now, has prevented him from going to a mainstream school. 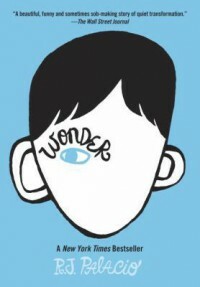 Staring 5th grade at Beecher Prep, he wants nothing more than to be treated as an ordinary kid-but his new classmates can't get past Auggie's extraordinary face. Wow what an amazing book. I am so glad I bought it. It is truly an inspirational story. It has great life lessons throughout the story. This book is a little reminder to always choose kindness and also not to judge people. If we all choose kindness the world would be a better place. If I could I would give this book a 20 stars rating or more.